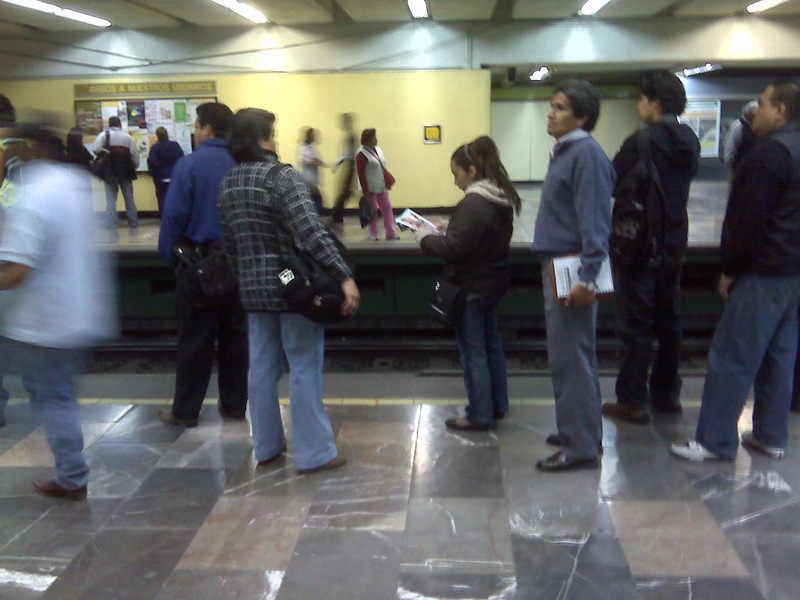 There are no express trains on the Mexico City subway system. If you have a stop on the other side of the city, you just have to wait for the ride. You can try transferring to a different line, but there’s no express stops like we have in NYC on the 2 and the 3. My mind works like that sometimes. There’s no express and the work has to get done at it’s own pace. Music often helps, but one thing I noticed is that I get it done faster and better if I’m not listening to something that’s “jamming” as they say. I remember reading an interview by one of the editors of F.E.D.S or Don Diva magazine, one of those true-hood crime rags, and he mentioned working out of his car. That wasn’t so interesting, but what did make me catch notice was him saying how listening to hip-hop music was a deterrent to his concentration. I agreed. It’s always been hard for me to study or get work done listening to Wu-Tang. I’ve always been way more focused cranking up the Mozart or on occasion Nancy (not Frank) Sinatra. Recently, I’ve been big on the house mixes. Given my soundtrack listening proclivities of late, I’ve been digging some old Thomas Bangalter mixes (yes, the Daft Punk dude). They’re a little darker at times, sometimes a little less happy.